Foxtrot is a basic dance from which you can acquire a good foundation. Learning to combine steps easily and smoothly teaches variety and maneuverability. 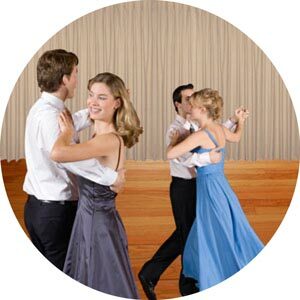 The Foxtrot posture is attractive in appearance and helpful to all other dances. Being able to dance to slow, medium and fast tempos will add confidence to your dancing and will assure fun and relaxation for your partner. Turning Twinkles to O. P.